LG is set to announce a collection of new monitors at CES 2016, some of which introduce new features and functionality that could be compelling for those in the hunt for a new, high-resolution display. The most interesting monitor LG will unveil at CES is the 27UD88, a 27-inch 4K display that features a USB Type-C port. When you connect a laptop to the 27UD88, or its 32-inch brother, the single USB-C cable will send picture data to the monitor while also charging the laptop from the display's power source. This is pretty neat technology that really utilizes the benefits of USB-C and USB Power Delivery. LG will also be unveiling the 27UD68, which is a 27-inch 4K monitor with FreeSync support. At this stage FreeSync doesn't work over USB-C, so this monitor ditches it in favor of DisplayPort. The UC88 series, which includes curved 29- and 34-inch models, also supports FreeSync, although these monitors are 21:9 with a resolution of 3440 x 1440. 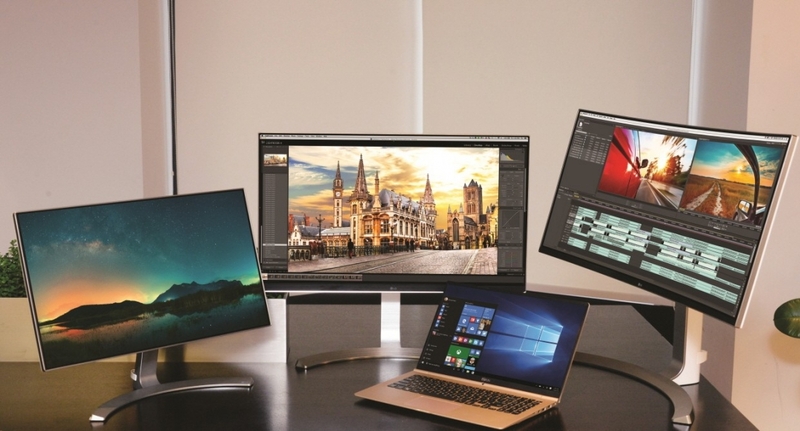 The FreeSync models aren't the only 21:9 monitors LG will be showing off: there's also the 34UC98, a 34-inch curved IPS 3440 x 1440 monitor that connects via Thunderbolt 2. For those that don't want something curved, the 34UM88 offers a similar feature set (Thunderbolt 2 and a resolution of 3440 x 1440) in a flat package. And finally, the 24MP88 will launch at CES with what LG describes as an "impossibly slim bezel". All new monitors will come with the same type of "ArcLine Stand", and it appears as though every new display will use IPS technology. As these announcements are just previews of what's to come at CES, LG hasn't revealed full specifications just yet. But if you're interested in some of the aforementioned monitors, check back after CES, where more information will surely become available.